The ski resort Sölden is located in the Ötztal (Austria, Tyrol (Tirol), Tiroler Oberland (region), Imst (District)). 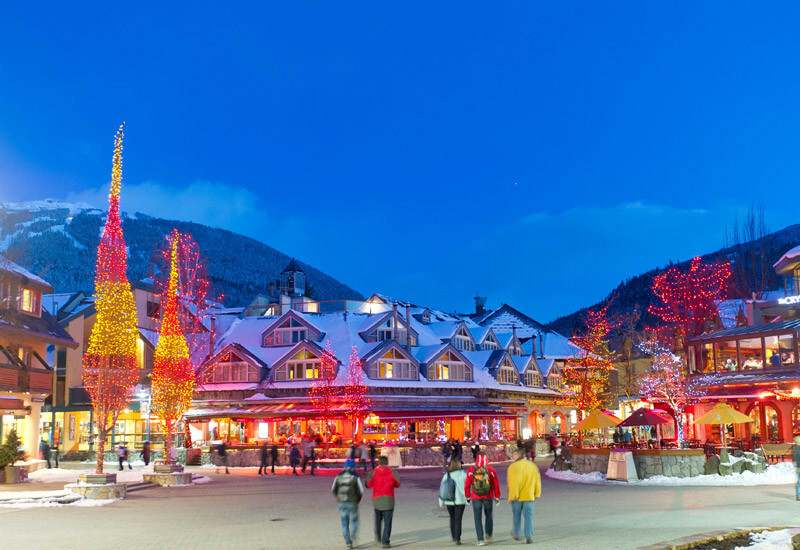 For skiing and snowboarding, there are 144.2 km of slopes and 1.9 km of ski routes available. 31 lifts transport the guests. The winter sports area is situated between the elevations of 1,350 and 3,340 m.
The Sölden ski resort offers skiing enjoyment up to 3,340 m from October until May on its Rettenbachfern and Tiefenbachfern glacier ski areas – snow reliability included. 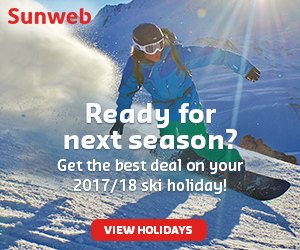 The excellent location of this winter sports resort enables the traditional kick-off of the Alpine World Cup at the end of October. The “BIG 3” three thousand meter peaks of Gaislachkogl (3,058 m), Tiefenbachkogl (3,250 m) and Schwarze Schneide (3,340 m) are accessed with modern cable car lifts and offer a breath-taking panorama of the ski resort and the Ötztal Alps thanks to the Panoramasteg (panorama bridge) and the viewing platform. 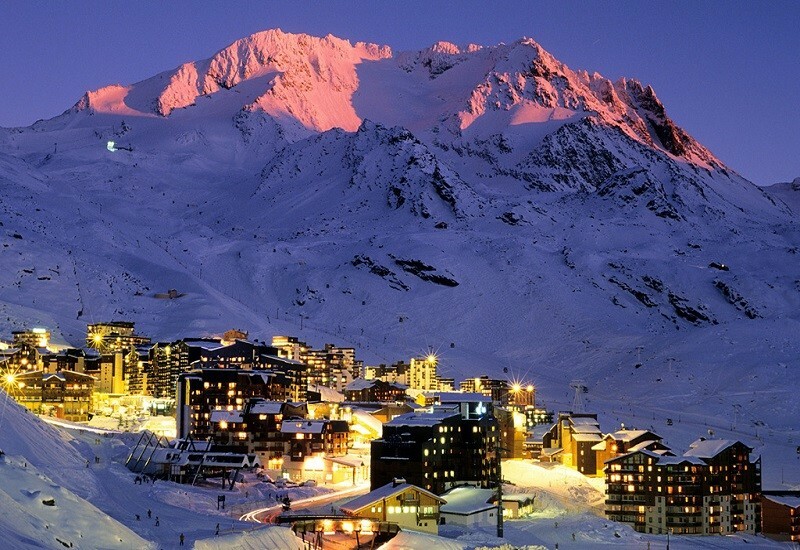 Seemingly endless slopes of all difficulty levels, a gastronomic offering that leaves no wish unanswered and numerous events throughout the winter make the Sölden ski resort a unique and complete holiday destination. 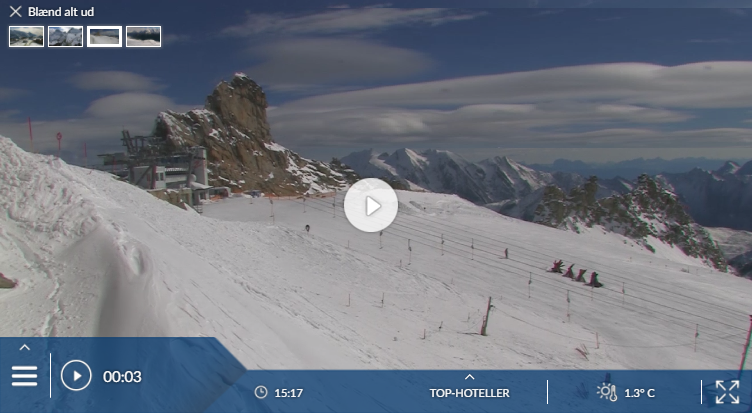 Has the climate crisis and the higher temperatures affected snow conditions in Sölden? For the last 5 years, week 15 has been the most insecure with 160 cm snow depth on average in Sölden. Sölden used to have a low profile on the UK market. But this year we received more reports on it than ever before. And its profile will be raised further because scenes from the new James Bond movie, Spectre, were shot here last season. 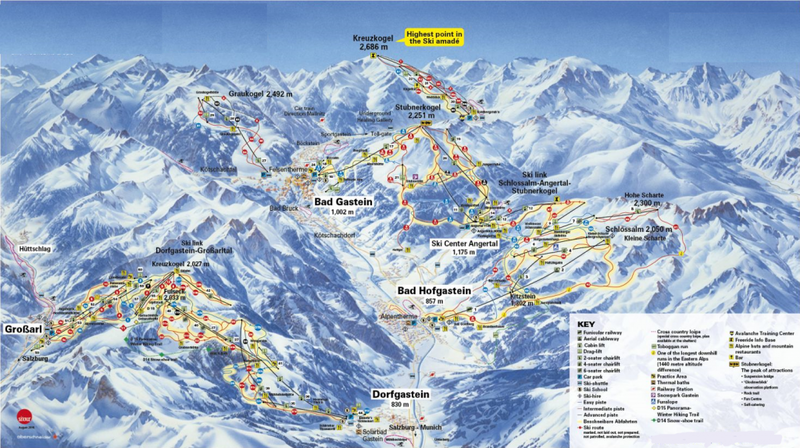 We’ve always liked its snow-sure challenging red pistes and exceptionally long top-to-bottom runs. 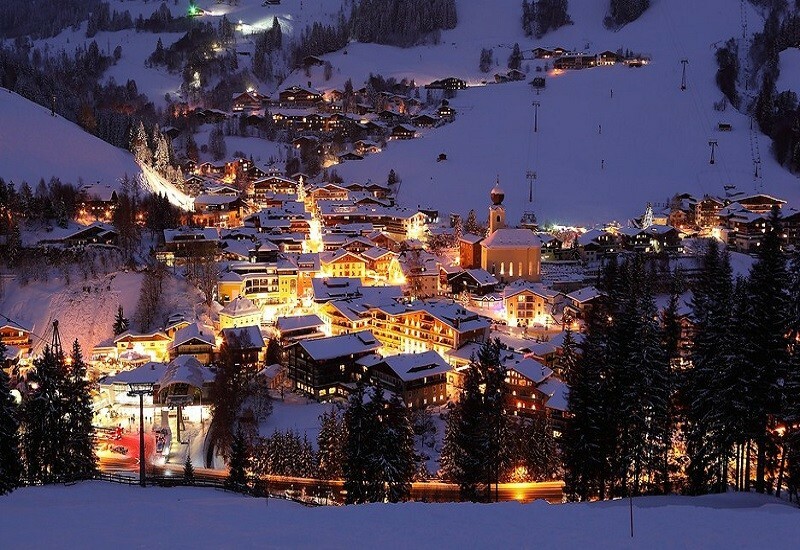 But we’re less attracted to the village, with its busy road and very lively après-ski scene. Sölden is a long, towny place in the ötz valley leading up to Obergurgl. Gondolas from opposite ends of town go up to the peak of Gaislachkogl and the lift junction of Giggijoch, with most of the shops, restaurants and hotels in between them. A road winds its way above the town through various hamlets up to Hochsölden – a group of 4-star hotels and little else. When buying a six-day lift pass you can opt to pay 10 euros extra for a day in nearby Obergurgl (the half-hourly buses are included in the lift pass). You can also get buses down the valley to Längenfeld where there is a big thermal spa. With a car you could make trips to St Anton or Ischgl.